The Cleveland Browns are reportedly seriously looking to trade Joe Haden, and these five teams should have some interest. The Cleveland Browns are in a constant state of rebuild, with a revolving door at quarterback and a lack of proven players and depth on the roster. So any declining, expensive veteran could be on the trade block, and Jason La Canfora of CBS Sports was first to report cornerback Joe Haden is being “aggressively” shopped. Haden’s contract is a barrier to a trade, with $11.1 million due to him this year, $11.2 million in 2018 and $10.5 million in 2019. Not all of that money is fully guaranteed, but it’s still a pretty significant burden for another team to take on. 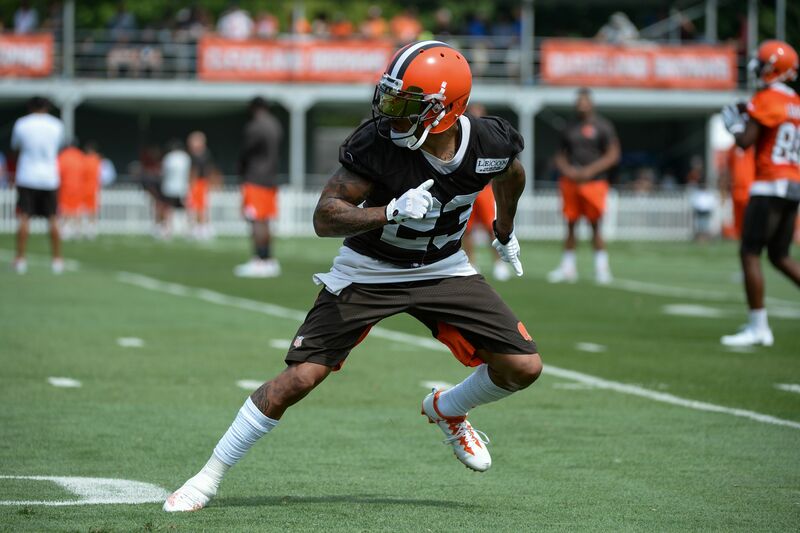 Haden is a two-time Pro Bowler (2013 and 2014), but injuries have hampered him over the last two seasons. A concussion and a finger injury cost him 11 games in 2015, and he missed three games last year with multiple groin issues that required postseason surgery. Late last season, he was ranked 104th out of 121 qualified cornerbacks by Pro Football Focus and that ranking only marginally improved over the final two games. The Browns may find a very limited trade market for Haden, but these five teams could enter the mix in an attempt to buy low on him. The Cowboys lost some notable pieces in the secondary in free agency, and their own free agent signing Nolan Carroll is likely facing some eventual discipline from the league after a DUI arrest in May. Rookie Chidobe Awuzie would then be in line to start at cornerback opposite Orlando Scandrick, who has been hit by injuries himself over the last two seasons. Haden’s contract is an obvious concern, but Tony Romo’s retirement did give the Cowboys some late salary cap relief. Haden may be best deployed in something less than a full-time role right now, and Dallas can offer that while bolstering their cornerback situation with a more proven player. Not that Haden will have any real say in where he is traded to, but Dallas is also a winning team with high expectations. Jerry Jones is not afraid to take some risks, and Haden is a relatively low one right now if he can get healthy. Parting with a future mid-round draft pick should be no trouble for the Cowboys.